Moosend is a fully featured email marketing platform which includes a responsive email campaign editor, marketing automations and many other competing features. "Exceptional Customer Service - They Actually Care!" Technical help and customer service is spot on, amazing. The innovation and API within Moosend is something much needed in such a stale industry. Did I forget to mention customer service is superb thanks to people like Sarah who actually provide solutions in live chat? The pricing model is customer-friendly, scalable, and not prohibitive. The features, API, ease of use and technical service you get with Moosend is unparalleled in the email marketing space. The fact data scientists run this company means great things for future innovation. Also, for companies that are growing their subscriber base, or really focus on account-based marketing, you cannot go wrong with Moosend. I couldn't be happier and can't wait to create even more campaigns using the platform. Also, dare I say, Moosend actually listens to and responds to customer feedback, needs, and ideas For ABM or B2B marketing, Moosend is a GODSEND! Campaign set up / workflow can be cumbersome. Universal campaign and time-based reporting is not yet live. (HOWEVER, I know improvements are being made now, not later....which is something I very much do LIKE!). Moosend is improving, often and in ways that actually make sense! Just know that as of this review (October 2018), you're going to have to be patient for overall campaign performance metrics. However, the granular ones you DO get are better than the industry standard ones! Email automation, responsive design, innovative solutions for B2B companies. "Best Email-Marketing Service Out There"
Customer service is among the best I've seen. Easy to navigate around the menus, easy integration, simple plug-n-play setup. Charts and graphs are visually appealing. Would like to see more details in all-activity summary - other columns which were initially imported into the list i.e. organization, last contacted, etc. It shows this information when you look at the list, but it would be insightful to see more info on a contact if they had interaction with the email campaign, in that particular summary view. I originally tried to used Amazon Web Services coupled with Email Octopus, but it was difficult to set things up with both of them, costly, and not nearly as user friendly. Staying in touch with our clients and relaying notices to them has been great with Moosend. Their support staff is friendly, prompt to answer, and super accommodating. I would recommend them to anyone who is interested in implementing email-marketing into their business activities; Moosend is awesome! "Top Class Email Marketing Software"
It's customer support and service consistency are really amazing! For us, it;s really important to have a consistent (and not spam0 communication with our subscribers on a bi-weekly basis. Moosend is a great tool about that. But more importantly we have been using it's API implementation in order to automate every transactional email on our platform and this have been great! "I've tried SO many email management systems--and I chose Moosend"
Don't try uploading groups of names from Excel. They must be entered manually one by one. "Moosend provides a great mail marketing service"
The new email editor is fantastic. The speed and the quality of the service are great. The support team is always responding very fast and always have a way to solve problems & questions. Can handle a large number of mails. Easy to use A/B testing with multiple A/B options. Detailed reporting, very easy to read and have an understanding even with 1 view. One of the best companies in mail marketing. Strongly recommending to look into this company before choosing the final partner. Moosend is supporting all the mail marketing process, from the creation to the delivery and the reporting. With the campaign editor the creation process can be done without the need of html & css knowledge. "Very good UI, awesome features, amazing customer service"
I have tried many related ESP’s in the past and I can say that Moosend email marketing platform is by far the most value for price choice someone can make in its field. The platforms segmentation feature is just the best of its kind and the drag & drop editor make it really simple to design campaigns whether or not you have coding skills. Furthermore, their customer service has a very fast response rate and is always more than helpful. Nothing in particular. The platform constantly adds more features to make the experience even better. The best ESP provider to the best price in the market. You will not find a better platform for your email marketing campaigns. I am using Moosend as an email marketing software. So I am solving all the relevant problems. From automating messages, cross selling products, doing cart abandonment (email retargeting) etc. The most serious benefit for my company using this service, is the amazing customer service combined with the problem solving attitude and ability of the Moosend team. "Amazing Service, Amazing Inboxing, Amazing Platform.."
Aside from one of the best inboxing rates I've ever had, their service is impecable. I've never had this level of service from any other ESP's over the past 14 years I've been in business. Their ability to solve any issues or help with any concerns or answer any questions is unmatched in this industry. A slightly better editor would be great. But I believe that they are on top of it already. "Here it is fair and the costs are calculated favorably"
Moosend is a great service and offers fast support. While the competition Sendinblue or Mailjet calculated after sent mails (even with dead e-mail addresses), you have with Moosend a complete package according to the number of addresses! With Sendinblue / Mailjet, the quota is quickly used up and then it is expensive. Especially after both companies have tightened prices. I am quite satisfied with Moosend so far! The overview could be clearer, but you can find your way around if you spend a little time with the dashboard. I reach reliable without detours my customers and interested parties. Mooned is an excellent email marketing service that allows me to create many different things all with such ease. The emails and newsletters can be scheduled ahead of time in order to be sent out to the customer weekly, taking a big task off our hands. Although Moosend is quite easy to use, the initial stages of getting the software set up was a bit complicated for me. Great product and easy to use. Just make the initial stages of getting set up a little easier. 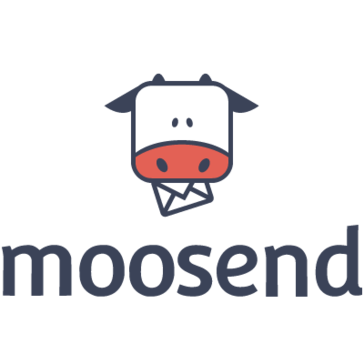 Some problems we are currently solving with Moosend is being able to get creative with the emails our marketing team is sending out as well as being able to create weekly newsletters to be sent out on an exact time. With the software we were using before, from time to time we would have a problem with the emails being sent out from the server at the wrong time. "Great Support - High Openning Rates!" I would like it to be a little more flexible in editing fields & campains once they already been created & saved. Moosend has solved a huge problem for me - I am saving hundreds a month on my email marketing and getting better results with it (over Constant Contact). I had to get over learning a new system but don't let that stop you. Gift a shot - their pricing makes a huge difference and the platform works really well. "Fast, Reliable, efficient in a value-for-money price email marketing platform. " Real-time, deep analytics, great A/B testing, fast, robust and reliable deliverability in an excellent price-to-value ratio. Their support team is one of the best. No "ticketing" and waiting, plain real-time chat. Templates and editor are here. 3rd party integrations are a bit limited yet the team is dedicated to confront these as soon as possible. I was looking for an email marketing platform tha was simpler to use, affordable and robust. Switched to moosend and never looked back. Thank you very much for your review Taki. Moosend makes it easy for us to design engaging email templates for our readers. We also love the reporting metrics and simple user interface. There's nothing I really dislike, just looking forward to Moosend rolling out more and more features for their software. We have a large email list and we use Moosend to automate our email marketing efforts, report on the effectiveness of this channel and design engaging templates that drive clicks. "Nice support and nice deliverbility"
everything goes well till now, very nice of it. it would be better to have dedicated IP address. I use Moosend to send marketing emails and Moosend showed me the good ability of deliverbility. "Easy and exciting email templates"
Having used a few other email vendors, I love the data Moosend gives after I've finished a campaign. I not only get analytic info, but I can track links in my emails! I wish I could integrate my web platform better. Moosend is a sophisticated platform with simple, self-explanatory tools. I've enjoyed it so far and you will too! Moosend provides a comprehensive email platform and I really like how they have their billing broken down. Moosend allows the user to do so much and is extremely easy to us. I also found the customer service to be great and to me that is important! Nothing! I love Moosend and when I need help they always have someone available and helpful! Automating messages, cross selling products, email regathering, etc. The Chat online helps me a lot and they have solutions for whatever we need. "An excellent platform for sending mass emails with superb support." Simplicity, competitive prices and sure delivery of emails. Nothing! 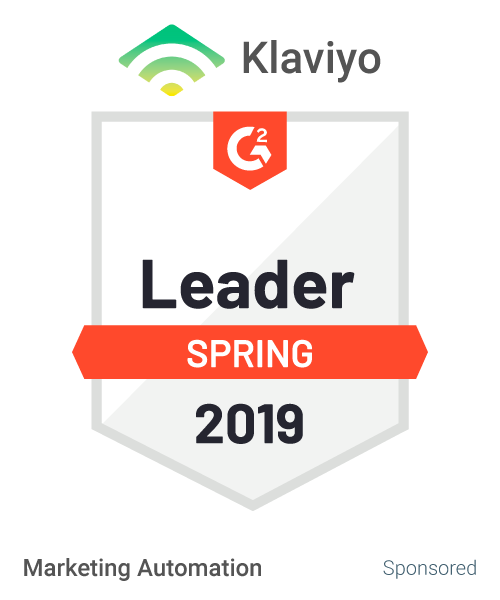 Although we started using the platform only recently, we didn't notice any disadvantage as to preparing and sending our newsletters. We send mass newsletters to the readers of Gnomon Publications. The open rate and link clicks is astonishing. I liked the support, especially from the lady responsible for my account Mrs. Sarah Papadopoullou , quick , promt and trying to find smart ways for improvement of my newsletters. Everything great. I can not think anything that created me a big problem. Easy handling. Moosend newsletters helped me to increase my sales . Compering with other providers I realised that most of my newletters delivered to my lists. High open ratio and link ratio. To get your email to send and not be seen as spam, you actually have to know a few tricks, and change some "techy" settings. Sarah from Moosend support was extremely helpful and patient with me. Their support was very helpful, professional, and nice. "All the goodies without the big price tag"
I've used 3 autoresponders over 8 years and Moosend is the least expensive but still has all the goodies that you need - automation, segmenting, A/B testing, etc. I wish they had more videos or an onboarding sequence that was more detailed. Has all the bells and whistles - automation, segmenting, etc of the big guys with a smaller price tag! "Moosend's tools is my swiss army knife when it comes to email marketing." Ease of use & one of the best support teams. Haven't find something to dislike... yet! The new email editor is great and you can do many stuff! The customer service is excellent, every time we had a problem they responded to us asap. There is nothing I have disliked in them. A considerable increase of our CTR thanks to their guidance. Let aside the email Automations we are going to adhere to our new website. * We monitor all Moosend reviews to prevent fraudulent reviews and keep review quality high. We do not post reviews by company employees or direct competitors. Validated reviews require the user to submit a screenshot of the product containing their user ID, in order to verify a user is an actual user of the product. Hi there! Are you looking to implement a solution like Moosend?